Steinbeck made me crave sweet peas after I read his short story in The Long Valley, about a farmer who risks his livelihood to plant 45 acres of sweet peas to sell for seed. Every year I sacrifice all my compost to my modest twenty foot row – wait, who am I kidding? 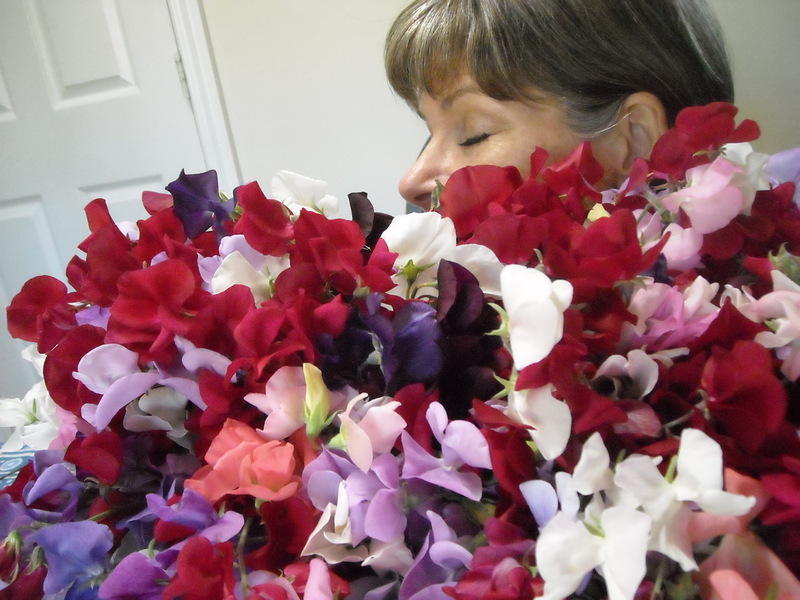 There is nothing modest about sweet peas. Their fragrance is intoxicating and their delicate ruffles are like flamenco skirts. I am their willing garden slave.